A simply sweet cuff that looks great alone or stacked with other jewelry! 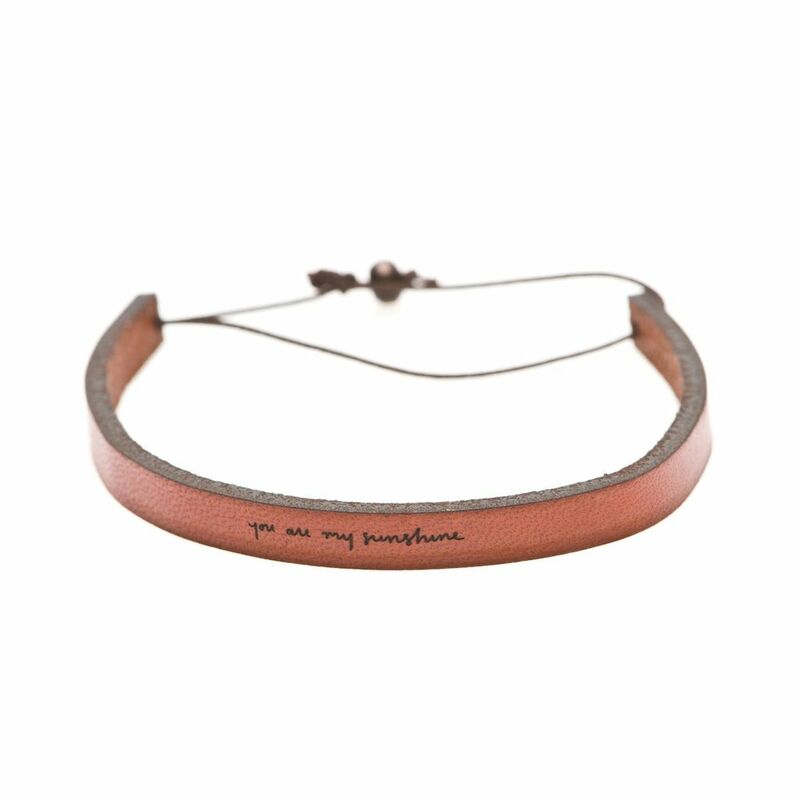 Owner and designer Laurel Denise laser engraves each piece with her tiny handwritten script. Over time, the leather will soften and gradually gain a lovely patina. Made with USA-sourced and vegetable-dyed leather. Handmade in the USA. One size fits most; bracelet measures 7.25 inches long when at its shortest point, and 8.5 inches at its longest point.